Looking for a different Battle of Alnwick? Try the First Battle of Alnwick (1093). In Spring 1174 King William the Lion invaded northern England hoping to regain control of Cumbria and Northumberland which historically had been part of Scotland. However, he was defeated at the second Battle of Alnwick (1174) and taken prisoner by the English. The humiliation of his capture dissuaded any of his successors from attempting to claim the territories again. Ownership of what we today know as Cumbria and Northumberland had been in contention between England and Scotland during the tenth and eleventh centuries. This continued into the twelfth century but, from 1135 onwards, England was destabilised by a dynastic struggle between Stephen of Blois and Matilda over the English throne. This descended into civil war in 1139. In Scotland, King David I declared his support for Matilda's cause, keeping her cause alive during its lowest ebb, and with this pretext annexed significant portions of northern England including Carlisle which he converted into a major Royal centre. However, David died in 1153 whilst the civil war itself ended the same year. In 1157 the new English King, Henry II, seized back control of the northern counties. 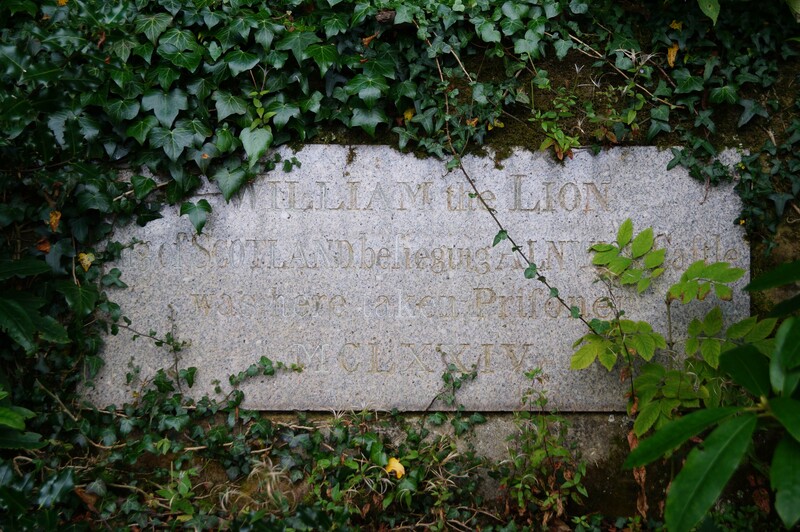 In 1165 William IV (known as 'the Lion' due to his banner) succeeded to the Scottish throne. Henry II's seizure of northern England was a sense of intense irritation to the new King and he broached the subject in 1166 but was rebuffed. He then approached Louis VII of France, a bitter rival of the English King, in hope of acquiring support for his claim. However, the efforts came to nothing and did little to endear William to Henry who allegedly rolled on the floor with rage when the facts became known to him. William then shifted his hopes onto Henry's heir, Henry the Young King. When the latter rebelled against his father in 1173, William enthusiastically participated by leading an invasion force into Northumberland. 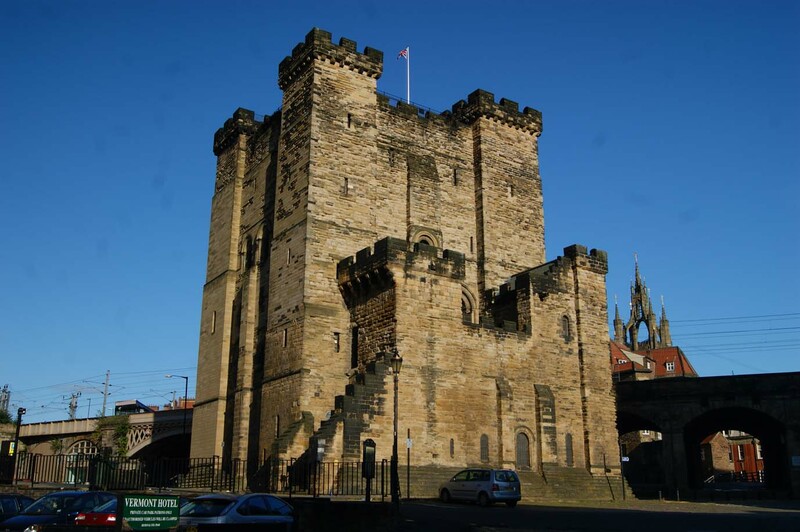 He attacked the partially built Newcastle Castle but his force was repulsed as were subsequent attacks on Alnwick, Prudhoe and Warkworth castles. 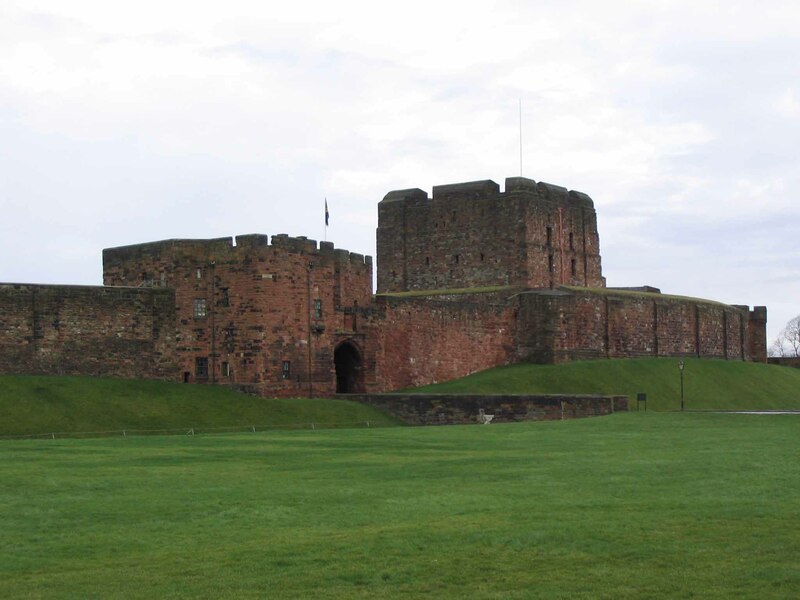 William then moved west to attack Carlisle Castle but had no more success against that fortification and, as an English army approached, he withdrew back into Scotland. Ranulf de Glanville, Chief Justiciar of England sacked Berwick-upon-Tweed in retaliation for the Scottish incursions after a which a truce was agreed that lasted until Spring 1174. William resumed his attack as soon as the truce expired. He advanced into Northumberland again allegedly with an army 80,000 strong. Once again he launched an unsuccessful assault against Prudhoe Castle. 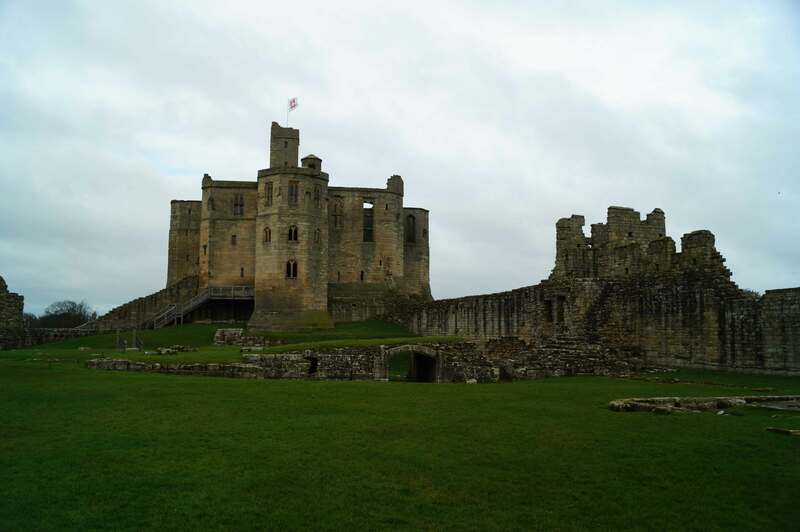 Following the failure of this attack, William divided his army sending Duncan, Earl of Fife to sack Warkworth whilst the main Royal army moved on to Alnwick Castle, the stronghold of the powerful Vescy family. That castle was too strong for a direct assault so William besieged it inevitably meaning his army became dispersed over a wide area. Alerted to the Scottish movements, Ranulf de Glanville deployed with a small force from Newcastle. The English force was under the command of Ranulf de Glanville, Chief Justiciar of England and he was supported by a number of experienced magnates. The size of the force he left Newcastle with is uncertain but it was relatively small as Ranulf was planning to disrupt the Scottish siege of Alnwick rather than fight a pitched battle. 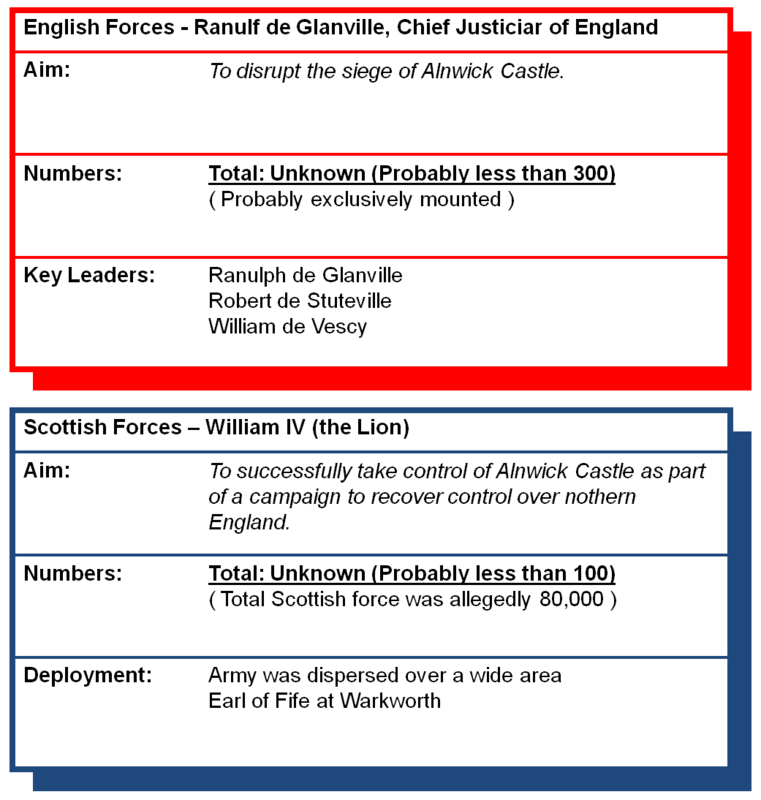 The Scottish force was under the command of William IV (the Lion). It was allegedly 80,000 strong (almost certainly a wild over-exaggeration) but was widely dispersed to secure all approaches to Alnwick Castle. It is likely the King had less than 100 men with him in his own camp. The battle was fought on the morning of 14 July 1174 in thick fog. William had deployed his men to secure all access routes to and from Alnwick Castle and accordingly his own camp had been left with inadequate defenders. Ranulf's spies alerted him to the whereabouts of the King and, using the morning fog as cover, launched a surprise attack. Unprepared, the Scottish forces broke into rout whilst William's own horse was killed beneath him. With no means of escape, the King was captured by Ranulf's men. The defeat at Alnwick was a humiliation for William the Lion. He was taken from Alnwick to Newcastle with his feet tied beneath his horse as if he were a criminal. From Newcastle he was sent to the Tower of London and then onto Falaise in Normandy where he spent five months as Henry's prisoner. His release was eventually secured by the Treaty of Falaise, signed in December 1174, the terms of which required the Scots to pay a ransom of £100,000 and mandated that William would become an English vassal. These crushing terms had a marked effect on William's successors. Future Scottish Kings abandoned their claims on northern England and instead looked north and west to extend their domains. Accordingly the battle was key to the establishment of the Anglo-Scottish border along the modern line. Whilst a small stretch of land along the Solway Firth (the Debatable Lands) and Berwick-upon-Tweed would be disputed over the subsequent centuries, the border we know today became entrenched as a result of the Battle of Alnwick. It was formally recognised in the Treaty of York (1237). Lancaster, J.H.D (2012). Alnwick: Battlefield visit notes and observations. CastlesFortsBattles.co.uk. Ordnance Survey (2015). Alnwick. 1:1250. Southampton: Ordnance Survey. The battlefield has changed significantly since the eleventh century as, although still largely undeveloped, it has been landscaped and actively managed for agricultural purposes. A plaque is visible just outside the entrance to Hulne Park. Alnwick Castle, which William was besieging prior to his capture, is a major tourist attraction although subsequent upgrades and prettification mean it bears no resemblance to the fortress that stood on the site in 1174. Battlefield Plaque. 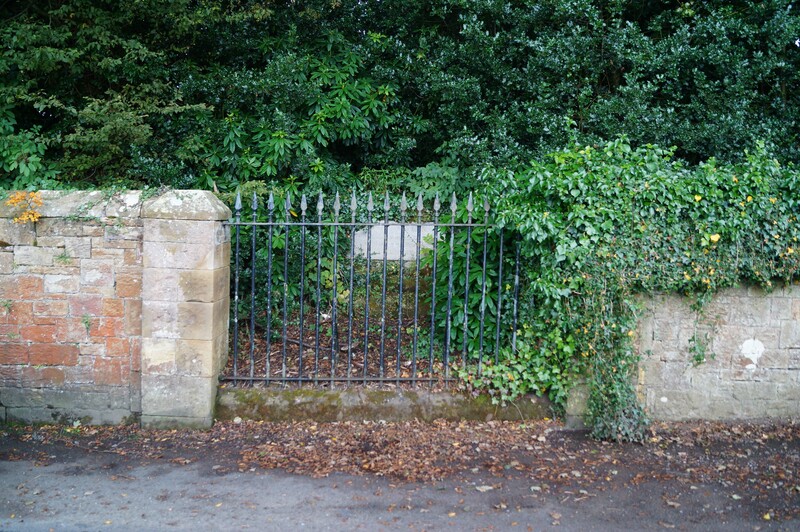 The plaque allegedly marking the location where William IV was captured can be found on Ratten Row just before the entrance to Hulne Park. Alnwick Castle. The castle had been built following the Norman invasion by Gilbert de Tesson (also known as Tyson). 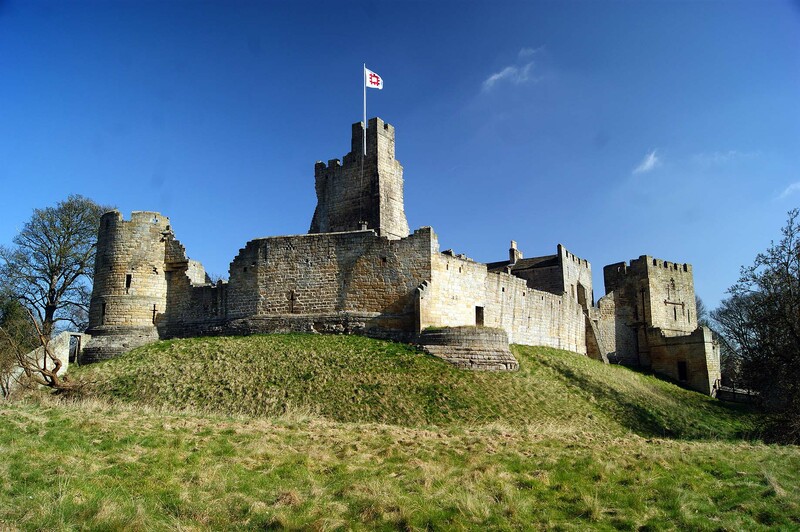 At the time of the Second Battle of Alnwick (1174) it was owned by the Vescy family. It later became the seat of the Percys. Attacks by William IV. During his invasions of northern England, William the Lion attacked numerous English castles. In addition to Alnwick the fortresses at Carlisle, Newcastle, Prudhoe and Warkworth all successfully held out against his forces. The plaque marking the site of the Battle of Alnwick (1174) can be found on Ratten Row just before the entrance to Hulne Park. On-road car parking is possible in the immediate vicinity. Visitors may also wish to combine their visit with a trip to Alnwick Castle, details below. There is also a monument marking the battlefield of the First Battle of Alnwick (1093).